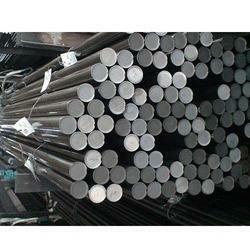 Pioneers in the industry, we offer duplex steel uns s31803 round bars from India. We Swagat steel is a exporter , supplier and stockist of Duplex Steel UNS S31803 Round Bars . This Duplex Steel UNS S31803 Round Bars is mainly use in big industries .We Swagat Steel have extensive in-house processing capabilities which make us a vital part of the specialist steel supply chain. The grades we Swagat Steel carry offer a super combination of heat resistance, high temperature corrosion resistance, toughness and strength, and are used in the world’s most technically demanding industries. Our customers benefit from the skills our dedicated workforce has developed over many years offering a service unmatched by any of our competitors. Your alloy enquiries will be handled quickly, efficiently and above all, cost effectively. Looking for “Duplex Steel UNS S31803 Round Bars”?